Esports, and other games : School rankings for FIFA '17 released. Joshua Williams of Northcliff High School. 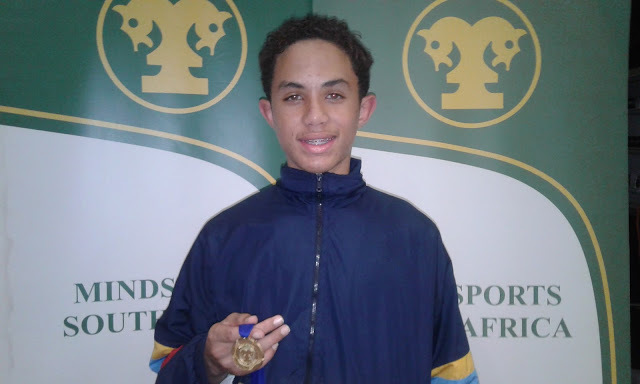 Not content with winning the High School Award at MSSA's Gauteng Provincial Championships for FIFA '17, Joshua Williams (of Northcliff High School) is now ranked as the number 1 High School FIFA '17 player in the country. It seems as though the fight for hegemony in the High School FIFA rankings is largely between Northcliff High School and HTS Witbank. Between Northcliff High School and HTS Witbank, not another school is even represented in the top ten rankings. Both schools have educators that are dedicated to the learners, and both schools are the major feeding grounds for the national FIFA esports team. A big thank you must therefore be extended to Noelene du Toit and Morizane Boyes for all their hard work over the years.